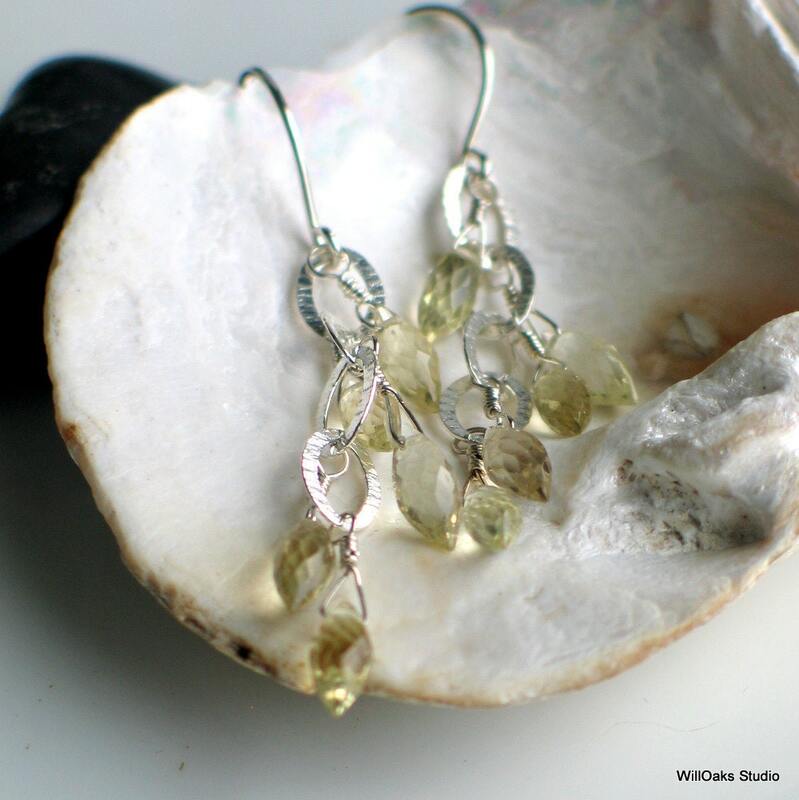 Dainty dangle earrings feature multiple marquis cut lemon quartz faceted gemstones that will sparkle with every move you make! Oval link sterling silver chain hangs below hand formed sterling ear wires and a wire wrapped gem swings from each link. All together, they will move with you and reflect light with each motion. 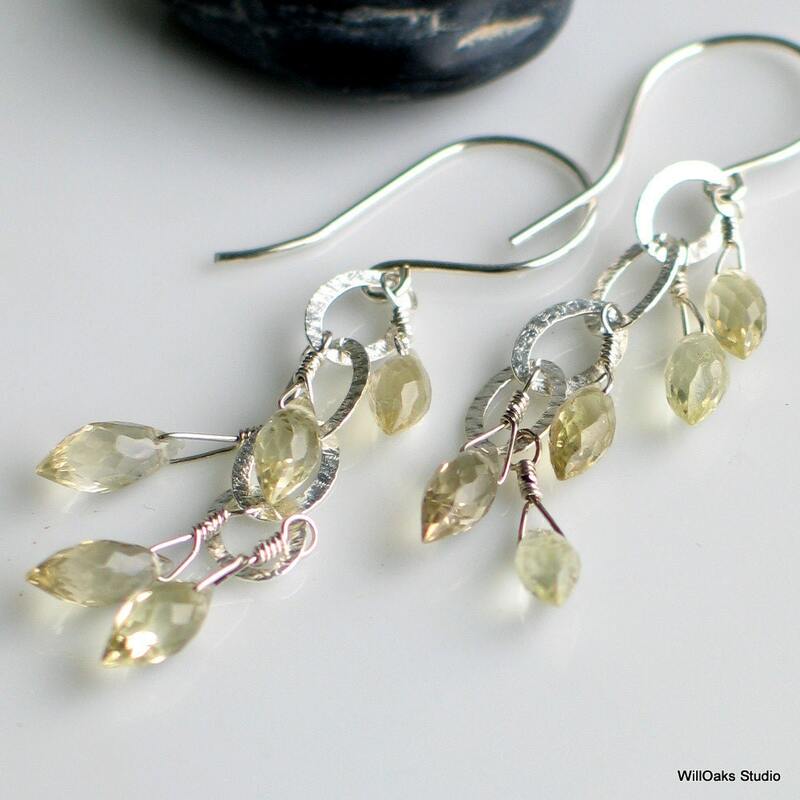 Though called "lemon" quartz, I'd say these stone are more the color of champagne, very clear and very faceted for a lovely sparkle. 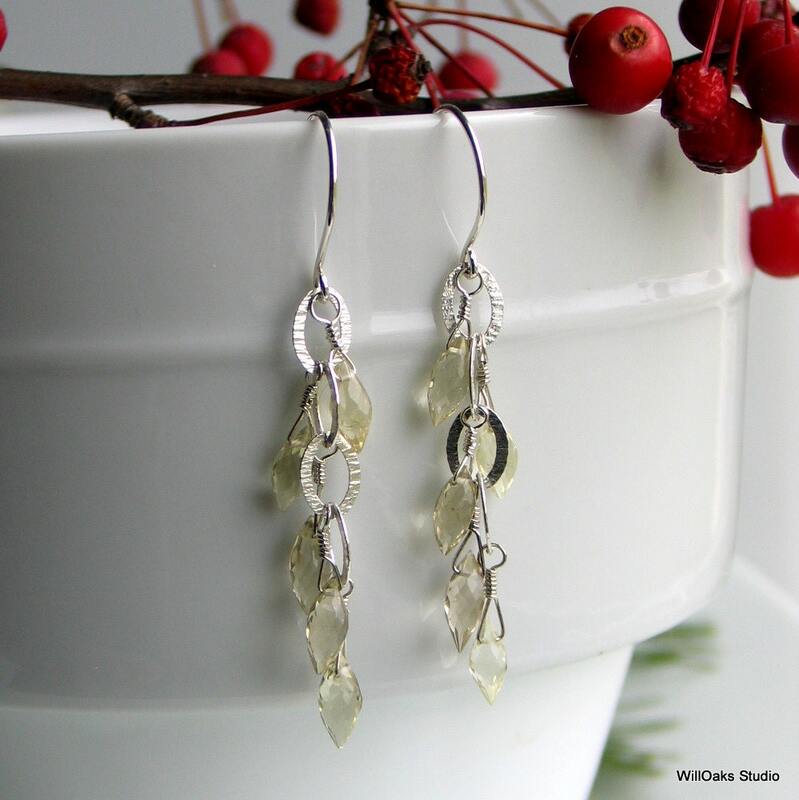 The idea and design are related to this earlier pair of earrings that have been selling from my shop for a couple of years now http://www.etsy.com/listing/19266775/crystal-quartz-dangle-earrings-handmade This pair measures 2 1/2" from the top of the ear wire and are very light and comfy to wear. 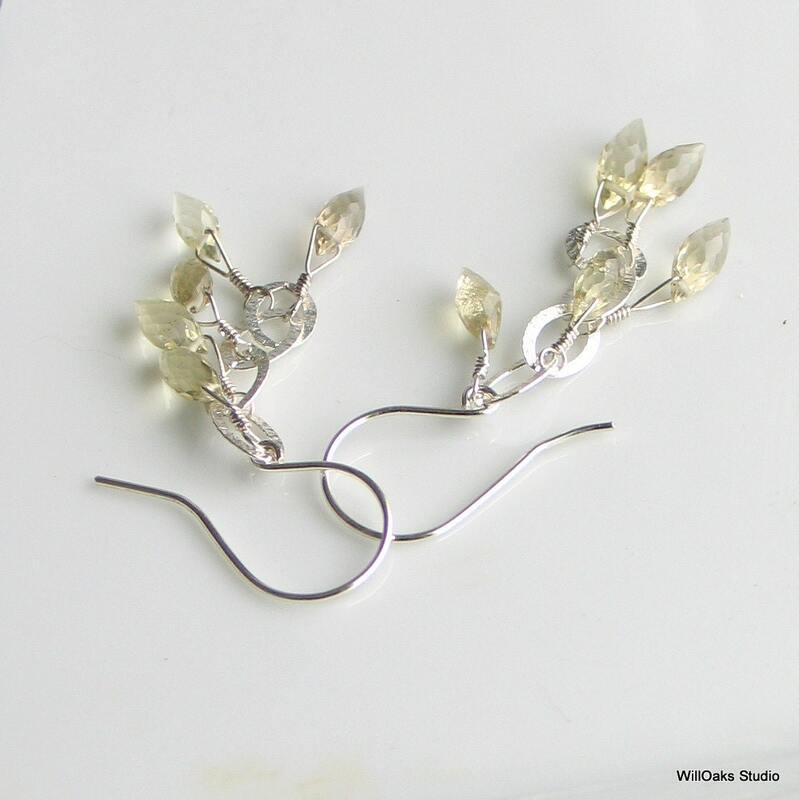 The effect is dainty and feminine with the intricate cut of each stone and the visual lightness from the lighter colors and airy design. 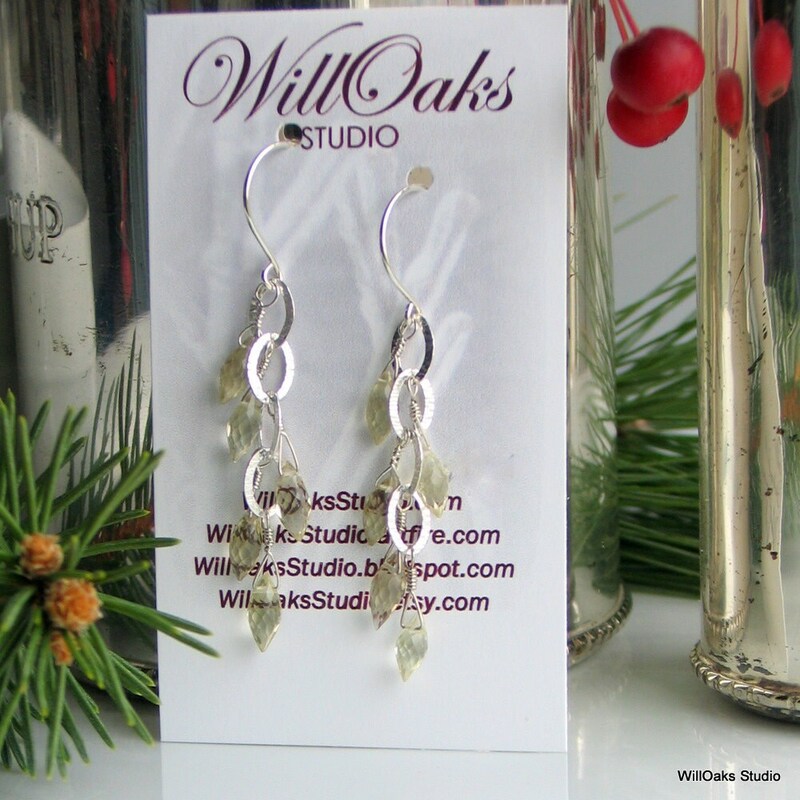 WillOaks Studio earrings are packed in decorative cotton filled boxes, or velvet gift bags, all ready to give. Shipped with silicone ear nuts to prevent loss.